Some more Slovak Sums, see the previous one for the rules. This one is certainly more difficult. This entry was posted in Puzzles and tagged hard, practice, slovak sums on 2015-02-04 by rob. Rules Place digits from 1 to 4 in some blank cells, so that each row and column contains each digit exactly once. 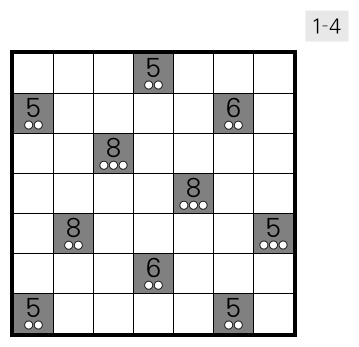 Clue numbers indicate the sum of orthogonally adjacent digits. 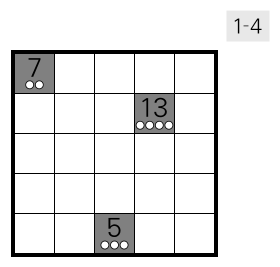 The number of circles under a clue number indicates the number of digits involved in this sum. Or see the instruction booklet. This entry was posted in Puzzles and tagged easy, preview, slovak sums on 2015-02-03 by rob.